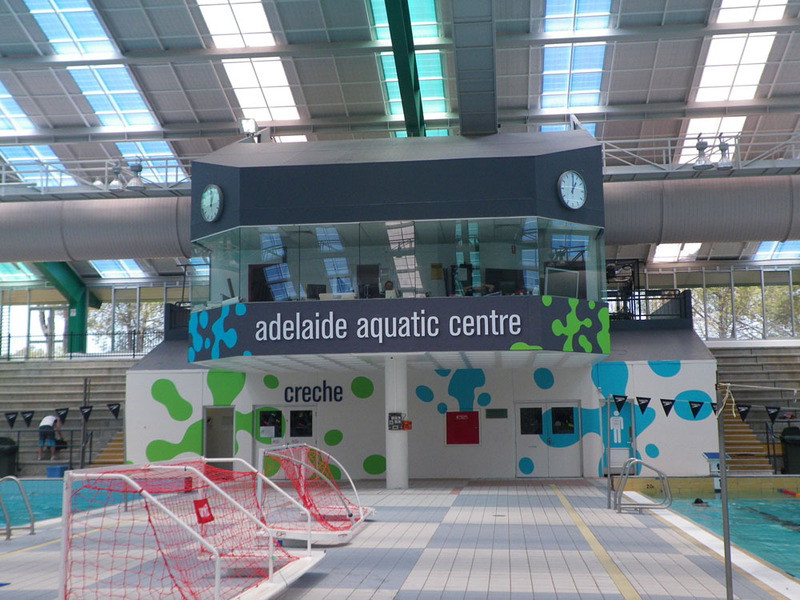 In the Northern part of North Adelaide is the Adelaide Aquatic Centre, an indoor swimming facility perfect for those hot dry days, when all you want is to cool down in a pool. The centre houses four swimming pools, a fitness centre, a spa, sauna and steam room along with a cafe and swim shop. There are even picnic and barbecue areas if you're looking to enjoy a hot meal after a good swimming workout. The interior is bright and welcoming, with natural sunlight gleaming through the glass panels high above. With the school holidays coming up, the centre is offering a School Holiday Fun Program for kids between the ages of 5 to 12. At $40 per child, the sessions are four hours each, with both out of water and in water activities. Meals for the kids are provided, and as a bonus, one parent can have a free day pass to the Fitness Centre while waiting for the kids to finish. There's a little something for everybody here. If you're looking to do laps, the lap pool is located on the right once you enter, with lanes allocated according to your swimming speed. Want to take things slow? Pick a slow lane. Eager to get a hard workout, hop straight into a fast lane and you're good to go. There's a medium paced lane as well. 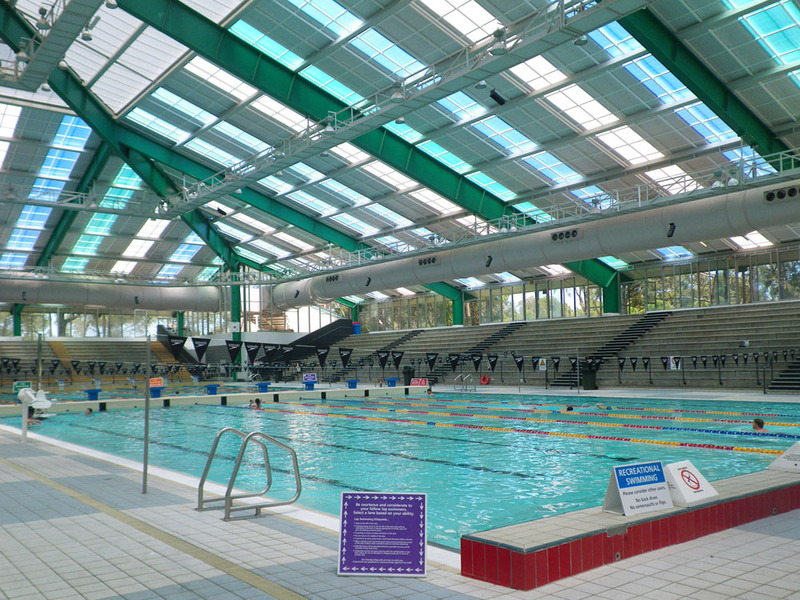 The nearer 25m lap pool is quite shallow, with the further end slightly deeper - it came up to slightly above my chest when I swam to that end. So if you're a swimming beginner, there's no need to worry about being out of your depth. Next to the lap pool is a diving pool with a 3m platform along with 1m and 3m springboards. 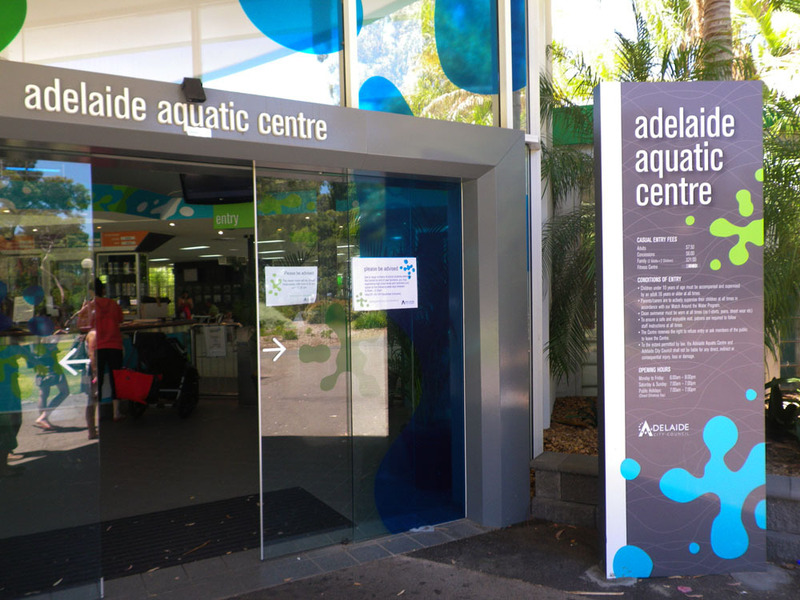 I was looking forward to trying these out when I went - unfortunately, the diving platform is only open on the weekends and public holidays from 12pm to 4pm. 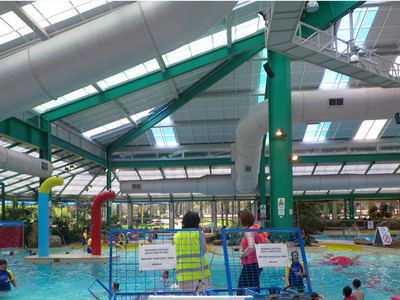 However, they'll readily open the pool to you if you've got a group booking of 15 or more people. For families with children and those who are just looking for a casual dip in the water, there are two heated leisure pools available, called The Octopool and the Cascade Pool. There are even a couple of water slides here as well. These areas are fun for kids and adults as well, though there are slightly deeper sections that are off limits to younger children. Keep an eye out for the signs to be sure! If you're looking to take up swimming lessons or enrol your children, the centre's Swim School caters for all age ranges starting from 6 month old babies. Classes are available every day of the week at $18.50 per session. Meanwhile, for those interested in the fitness centre, casual entry costs $18, which includes access to the pool areas as well. Additional costs of a personal trainer can be seen at their fee information page. 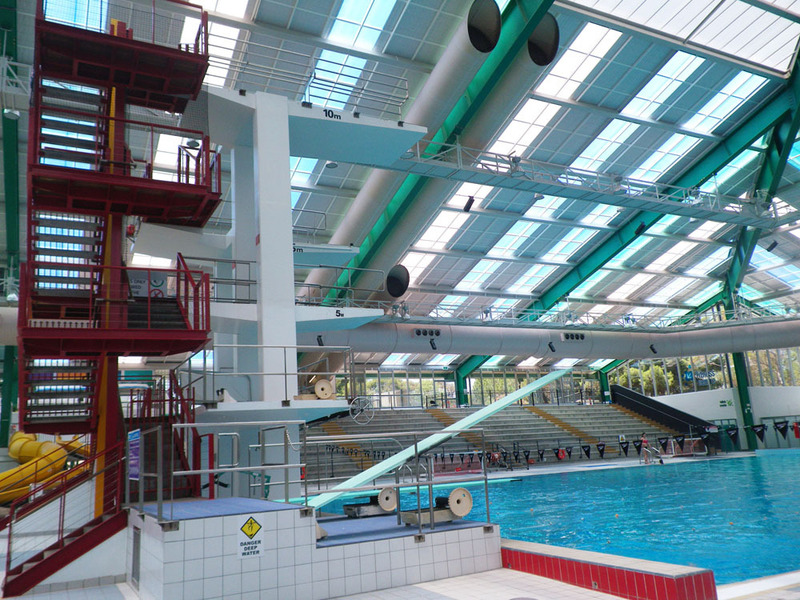 This is a fun place for the whole family, and it's great that there's a little something for people of all ages and swimming capabilities. I love how bright it is, though I was a bit disappointed that the diving platform and slides were closed when I visited. I guess that just means I'll have to visit again some day (with summer knocking on our doors, I expect this to be very soon).